The growth of the internet has created a situation where we can easily bet on sporting events taking place all over the world, from the comfort of our own home. We are no longer limited to betting on whatever is offered by local bookmakers. Do you live in Germany but wants to bet on Australian rugby matches? No problem. Before you start betting with a new sports betting site online, it is important that you familiarize yourself with the rules of the various bets offered there. Even though a bet is called the same thing on two different betting sites, the rules governing the bet and the payout can vary dramatically. So, when you transition from using a local bookmaker to betting online, it’s important that you take this diversity into account to avoid unpleasant surprises. Live betting is when you make bets on an event that has already started. To encourage live betting, many large sports betting will live stream the sporting events for which they offer live betting. This means that you can follow the event even if it isn’t broadcast in your part of the world. Mobile sports betting has actually been possible for quite a long time, but in the early years of mobile betting the various WAP services were not that appealing to the masses. With the advent of smartphones and tablets, mobile sports betting has reached a new level and making wagers directly from your mobile device has never been easier. Many sports betting sites have apps or specially adapted sites available for mobile users, which makes navigation a breeze. You can handle deposits and withdrawals directly from your mobile device, and some sports betting sites even offers live streamed sporting events in mobile format. 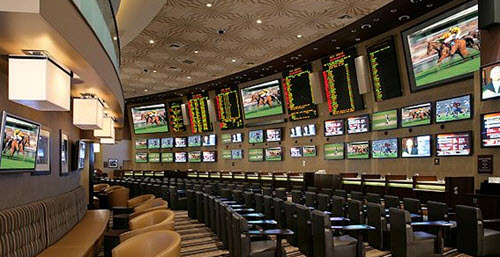 If you want to become more serious about your sports betting, pick a small field and focus on that. Pick a field that you already know and love, since this will make it easier for you to find the energy to stay up to date with current events. A common beginner mistake is to spread yourself to thin, by trying to keep up with a multitude of sports, leagues, etc. Many beginners just bet willy nilly – often they simply pick the events that attract a lot of media attention – but this is not the way to go for the serious sports better. Sign-up with several different sports betting sites and bet where you get the best odds. There are comparison sites available that will help you compare odds from a wide range of bookmakers. Even a small positive change in odds can have a significant impact on your long-term earnings from sports betting. Don’t be lured in by campaigns. Always check the Terms & Conditions of any offer. Some offers are great and definitely something that can be beneficial for your bankroll, while other offers are simply marketing ploys that have little of value for the serious sports better.